He has been there since the beginning, but now he’s calling it quits to look at new beginnings. 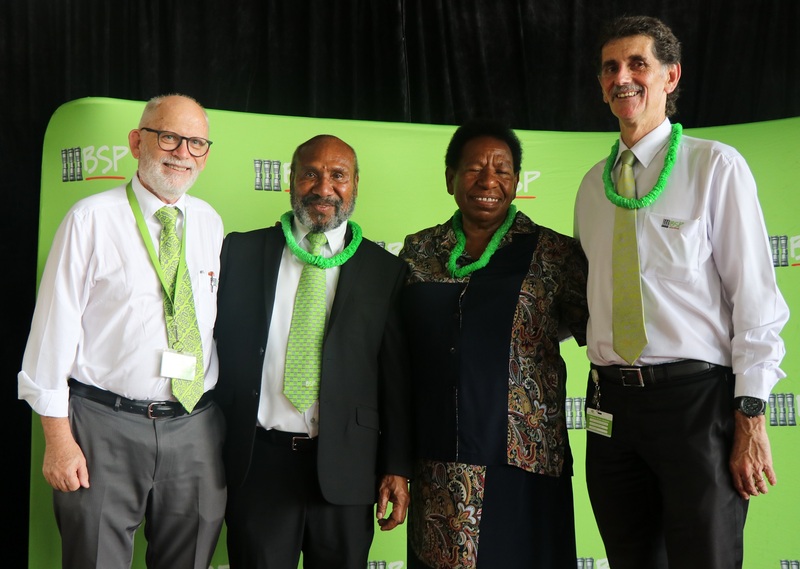 Aho Baliki, the retired general manager of Paramount Banking, called it a career after 45 years of service to the then PNG Banking Corporation (PNGBC) and Bank South Pacific (BSP) as of January, 2019. Known as Mr B to many BSP staff, he was given a farewell fitting for his tenure at the BSP Head Office in Waigani, Port Moresby, on Monday, 14th January, and another in BSP Goroka Branch on Wednesday, 16th January, where he first started his career at the bank. In an event witnessed by over 800 staff at the BSP Waigani Head Office, BSP Group Chief Executive Office Robin Fleming said: “Aho is one of BSP’s and a Papua New Guinean success stories. “He is seen by many BSP staff and Papua New Guineans as a role model, mentor and an inspiration to many of the staff, not just on a professional level at work but through his church work and contribution. Baliki is a career banker who joined the Commonwealth Banking Corporation in February 1974. He just wanted some 'pocket money' but went on to become Managing Director of the then PNGBC. "It was while working for the then Commonwealth Bank in 1974, that my mother became very sick. I decided then to work for one year, and depending on my mother's health, return to UPNG. As they say, the rest is history,” he added. Since joining the bank, he has progressed through the banking hierarchy to the position of Managing Director of the PNGBC in 1999. He was further appointed as General Manager Human Resources in 2000 when PNGBC merged with BSP. He now retired as BSP General Manager Paramount Banking after 17 years since his appointment in 2002. In his farewell message to over 800 staff at the BSP Waigani Head Office, Baliki encouraged staff to have the ambition of saving money and look forward to have a better life after their careers. “Try not to borrow too much from friends and try not to borrow from the Bank, live within your budget and one day you will become successful,” he said.